This model is similar to Mt. Albert’s earlier O scale Lumber Yard kit. This is the second HO scale Mt. 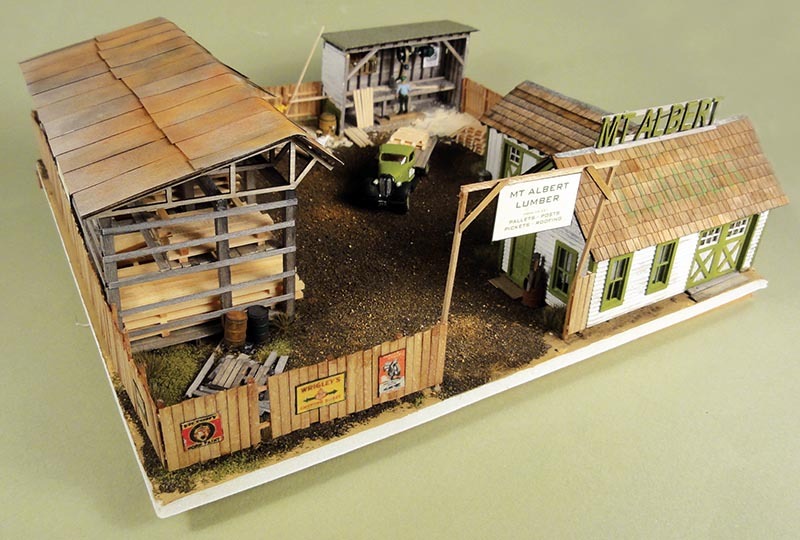 Albert kit, and assembles into a detailed diorama for a typical small lumber yard. The kit comes complete with a Sylvan truck, pallet jack, scale lumber, and even sawdust. The complex consists of an office/store, cut-off saw shed, and a lumber storage building – along with fencing, signs, and a lovely 3D printed cut-off saw. 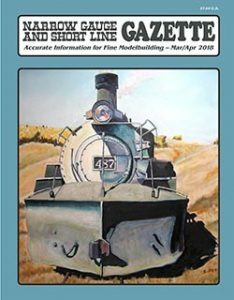 The kit also includes laser-cut wood, Tichy windows and doors, a Grandt Line smoke jack, Stoney Creek tarpaper and corrugated material, templates, jigs, a DVD, and complete instructions – truly, a diorama in a box. 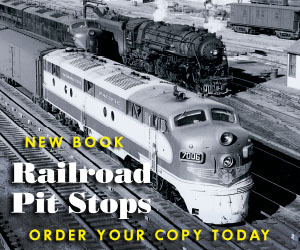 Between the DVD, with over 150 photos showing how to assemble the model, and the complete instructions, the assembly was well described, and well illustrated. Starting with the office/store, I encountered no problems with assembly of any of the structures. The cut-off shed’s workbench height was not specified, and I made mine a tad too tall. So, I added a step so a worker could reach the proper height to operate the saw. I also added some figures looking like they are making pallets. I assembled the pallets from lumber provided in the kit, using the lovely pallet-making jig included. A jig for assembling the fence is also included. There is also a Faller pallet jack that was too modern for me, so I did not use it, and a striking Sylvan Models, resin 1936 flatbed truck. I made color copies of the Mt. Albert signs, reduced them 25-percent, and added them to the doors of the truck. A pre-cut stencil is provided to make the impressive roof sign for the lumber yard. Additional signs are provided to adorn the fences surrounding the yard. I extended the fence along the back of the lumber storage building to discourage pilferage. I also added the square signs to the entry gate, and to the back of the lumber storage building. 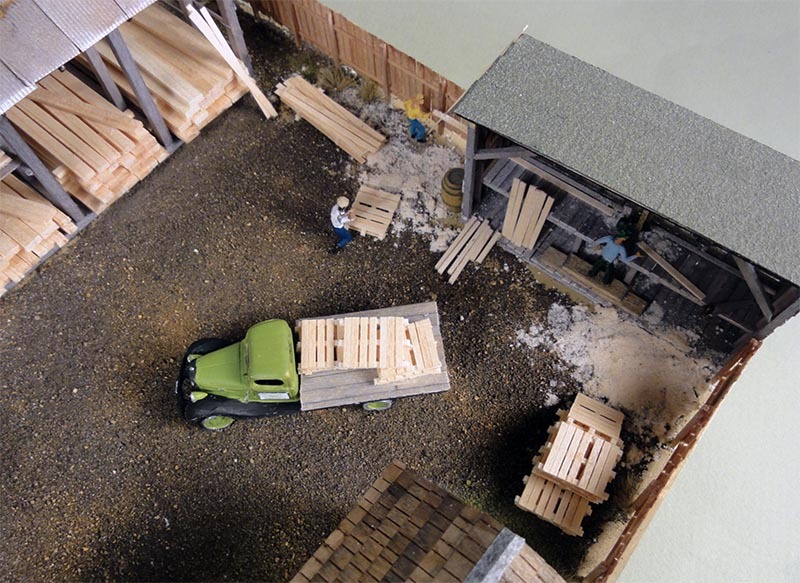 The lumber storage building was easy to assemble using the jigs and templates provided. Note, that while sufficient corrugated roofing material is provided, you need to be careful because just enough comes with the kit – so be conservative with its use. I also bent corrugated material to form a cap at the top, rather than use a wood cap as suggested. The result of three weeks effort was a detailed 9×9-inch scene of a lumber yard, and after I added some trash, extra oil drums and debris, my lumberyard is open for business. I hope Mt. Albert will consider more HO kits in the future.